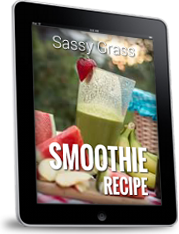 Get Your FREE Sassy Grass Smoothie Recipe Here! Hey, friend. Thank you for your interest in our signature course, Baby My Body™. You’re in the right place, but at this time this course is currently SOLD OUT. If you’d like to be added to the VIP waitlist please enter your information below and you’ll be notified just as soon as enrollment opens again. In the meantime, allow us to send you a FREE gift as a warm welcome into our tribe—we love that you’re here! If you’ve already purchased this course, login here. If you don’t remember or have any questions send us an email here. & receive your FREE Cravings-Crusher Chocolate Decadence Recipe! Get profound thoughts & proven strategies for Life, Love & Body! “Until we’re perfect, we’re all working on something.” – K.S. Episode #1: Who’s Imprinting Upon Your Children? Episode #3: Will YOU Die Lonely? Episode #8: Men Don’t Have A “Feminine Side”! This membership area contains links from affiliate partners. We appreciate that you trust us in bringing you products of excellence. When you buy from one of our links a small portion of your purchase goes to helping support our mission efforts, which takes a substantial amount of time, money and heart to move forward—so thank you! We’ll email you as soon about available openings! Go ahead and enter your info below and I’ll add you to the Baby My Body™ waitlist! Be sure to watch your email for your special gift coming your way!